As we are about to take a week off, we sit back in our big chairs, pat the head of an imaginary bulldog named Charles “Lee Marvin” Bronson, sip on our whiskey and look at what we did in this fine year, 2012. It has been quite a packed year. And a pretty great one too! We’d like to thank everyone that has supported us, played our games and spread the Simogo love around the world. We would truly be nothing without all of you! THANK YOU! – Finished up Beat Sneak Bandit. Added the epic boss fight, the intro cut scene and a lot of details that made the game a lot better! – Found out that Beat Sneak Bandit was nominated for Best Mobile Game at the Independent Games Festival! – … It was released on February 16th, and the reception was insane. It’s still one of the highest rated games of 2012. It was chosen by Apple as iPad Game of The Week. – Simon read Jonas’ short story script “Årsgång”, and the first seed to Year Walk was planted. 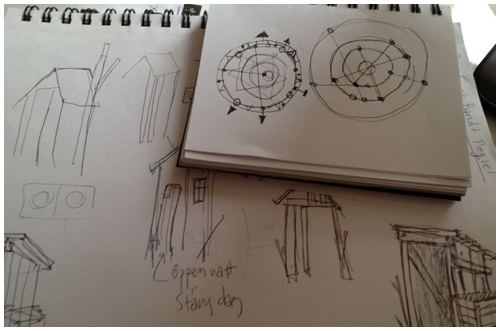 Just days after, the first discussions about turning the script into a game started, and concept art was produced. For some time, the game was (at least conceptually) a top view 3rd person game (we have loads of sketches, notes, early footage and that kind of stuff from Year Walk, and we hope to show you them in some form after the game is released! Stay tuned!). – TouchArcade posted this lovely article, a must read! – Simogo went to San Francisco for GDC and IGF! 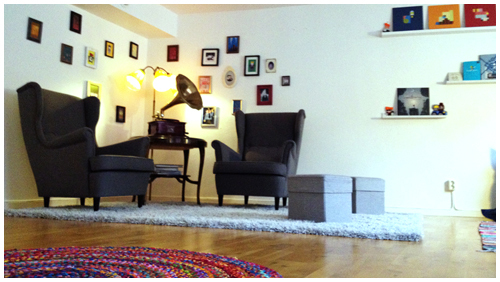 Stayed at our good friend Daniel Olsén’s appartment (THANKS DANIEL! ), and the first discussions about Daniel’s role in Year Walk were started. Met some lovely people in SF, and made new friends! 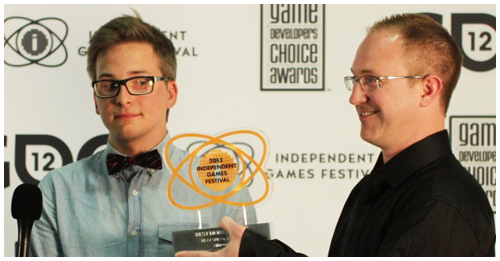 – … And holy moly, we won Best Mobile Game for Beat Sneak Bandit at IGF. Insane! – Started the work on an extended deluxe version of ilomilo for Windows 8, called ilomilo plus, for Southend!. – We released Bumpy Road for Fruity Macintosh Computers. It became Game of The Week in the Mac App Store! – Wrote the game script for Year Walk, and produced a simple Year Walk iOS prototype, in which you could move around in two rooms and watch the lovely snow. – It was a creative month in which we also threw around a lot of ideas for new games, including a Bumpy Road spinoff called “Bumpy Road Together”, “The Amazing Ziorawski Brothers” and “Scroom”. – Produced a really neat prototype for a non-touch-controlled, non-iOS game! Might become GAME5. – We made this little video to show off some unreleased stuff! – We released Bumpy Road for PC! It has sold about 15 (no, not thousands) copies. – Went to our favourite thing in the world, the Nordic Game Conference here in Malmö! 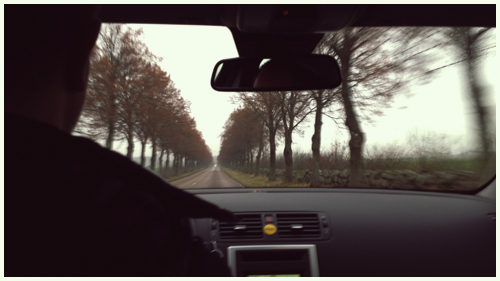 – Right after Nordic Game Conference, we headed right into full development of Year Walk. – We finished up our work (art for two extra chapters) on ilomilo plus. – A quiet month. Worked on Year Walk. Schemed some big things during a pub-meeting that made the project grow. – We started to officially tease Year Walk/GAME4. (actually, teasing started in April, but this was the first clue that were not hidden). – We went to speak at GDC Europe in Köln. Throughout almost our entire talk, “Success Through Not Doing What Everyone Tells You To Do”, a man in a suit was shaking his head in the second row. We showed the first trailer for Year Walk at the end of the talk. – All our riddles and teasing of Year Walk resulted in this cool thread at the Touch Arcade forums. It’s still somewhat active! – Beat Sneak Bandit won an award for Best Gameplay at the Unity Awards. Wow! – We announced Year Walk to the world! – Worked hard on Year Walk, and slowly lifting the curtain on the game on our blog. – Presented our awesome collaborators Jonas, Theodor and Daniel! 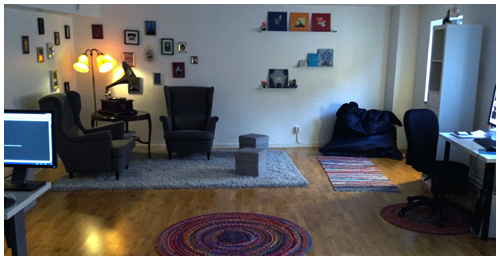 – We moved to our own first non-shared, and amazing, office! – ilomilo plus was released! – We released a second trailer for Year Walk. – Simogo + our collaborator Jonas Tarestad went on a weird and eerie road trip in the south of Sweden to get inspired and take photos for Year Walk. – Realized that Jonathan “wearethemassacre” Eng made a song for every Simogo project up until now (this, this and the credits music for Beat Sneak Bandit), and that it would be damn shame if Year Walk would not continue that fine tradition. So, we asked Simogo-Troubadour Extraordinaire if he’d be interested in contributing to Year Walk… He accepted and you will love the result! – We sent out a moving and sounding christmas card, filled with mysteries. – Finest of gaming magazines, Edge, gave Beat Sneak Bandit an award for Best Audio Design 2012. Simply amazing. – IGN named Beat Sneak Bandit is Mobile Puzzle game of the year!